Anyway, one of the things I love about January/early February is that spring sports have not begun, hunting season is in session, and my calendar miraculously opens up to all kinds of favorite pursuits. 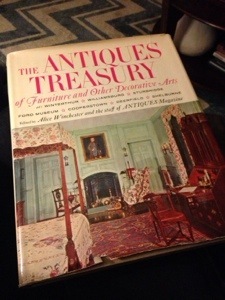 Like painting, movie watching, reading, and — yes — thrifting. 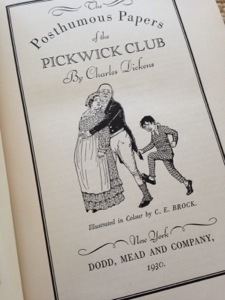 This 1930 illustrated edition of Charles Dickens’ Pickwick Papers. Who donates treasures like that anyway??? Confess that I spent an evening on the sofa with this one! I especially loved the sections on silver. 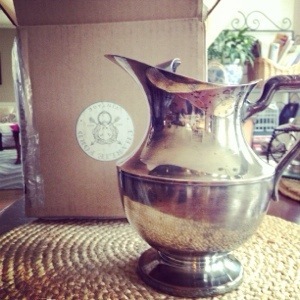 And speaking of silver, I scored this vintage pitcher from the (now closed) Charlie Ford Vintage, an online vintage and antique market place. 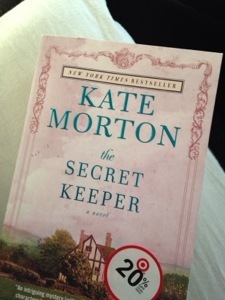 And, just as a little lagniappe in this post, my latest read that I absolutely could. not. put. down. Today we’re just hoping the power stays on… I’ve got Mod Podge and watercolors on the brain today and it’s kinda hard to do either of those with gloves on. Just sayin’. What’s the weather like where you are? Done any thrifting? Read any good books? Disclosure: The link above is an affiliate link. Oh, neat finds!!!! Love silver. That is fantastic. Going to pout that book on my library list. I need a new one. I read about 8 or so while on vacation and the two days after I came home. It’s been a bit though. I need a new book!! Great finds Heidi…I LOVE the pitcher…it just started snowing here…the ground is already covered with snow and it only has been snowing for 45 minutes…Stay warm and safe!!! Snow here—at last–and that book was good! I am doing art as long as we have electricity! Ok, teacher, it’s cold here, Minnesota ‘ya know, and I had to look this one up – lagniappe.